UNISA Application Dates for 2018 are already closed. However, you can still apply to study at UNISA in 2019. By mid-June 2018 UNISA will inform all the students who have applied for the Second Semester of 2018, if their applications were successful or not. Remember that if you are accepted you MUST study in the following semester of you will lose your place and have to apply over again. Spaces for the Second Semester for 2018 are limited. That is why applicants will only be offered spaces at UNISA depending on the number of places that are available for each qualification. For more information about the feedback on admission applications for the Second Semester 2018 at UNISA, please click here. 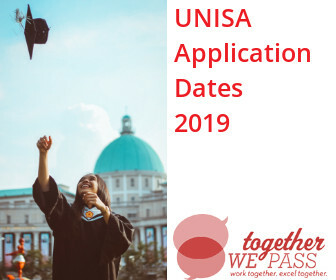 Visit the UNISA web page here at the beginning of July 2018, to get more information about UNISA Application Dates as well as Closing Dates for 2019. If I Apply Now, When Can I Study At UNISA? Once you are accepted to study then you can register your term subjects with the institution. There are two registration periods, one in January, and one in June. Remember if you are accepted to study you need to register in the next study period or your acceptance will be revoked. This means you will have to apply all over again, and there is no guarantee of a place the second time you apply. What Does it mean to Apply To UNISA? If you want to study at any institution, be it a school, a college or a university you first need to apply and see if you are accepted. At UNISA you first have to apply, and then only can you register if you first got accepted to study at UNISA. This is very different from UNISA registration, which you can only be done once you have been accepted to study at UNISA. We have a great UNISA application tutorial for you to follow if you are applying now. Choose a Qualification by looking through the UNISA brochure and make sure you meet the admission requirements. It is important to remember the UNISA requires you to do all your own research and decide which qualification suites your chosen career, and whether ODL (open distance learning) is right for you. Remember to fill in your top two choices, in order of preference. If you are accepted on both programmes you may only choose one qualification to study. Please be very sure you have every document, and they are submitted exactly as requested by UNISA. If they are not exactly as specified, or not submitted, you will be automatically rejected regardless of your merits or circumstances. Remember that these all have to be given in electronic format, and UNISA does not supply any copying or scanning devices for you. You also need to scan them in the right format, ensuring that the file is no bigger than 2MB, all documents are in black and white, and are saved either as a PDF, TIF or DOC. No other file extensions will be accepted. Click here if you want to know how to check the status of your UNISA application. If you are accepted to study at UNISA you will you will receive a student number. Remember this student number as you’ll use it for signing up on the student portal my.unisa.ac.za, and in all further communications with the university. You must thereafter pay a non-refundable application fee of R105. If you are registering for non-degree purposes you can apply with hard copy, and this will cost you R160. You can pay online via credit card (response is quicker) or via bank deposit. More information on paying the application fee and international payments. UNISA will get back to you to inform you about the outcome of your application. For enquiries regarding applications email UNISA via applications@unisa.ac.za. Once your application is successful, it is now time to register your modules and start studying! Follow the UNISA registration tutorial. Remember that you must register for the next semester, or you will have to apply all over again in the following year. 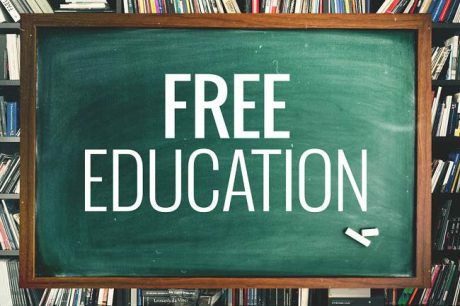 You will have heard about UNISA announcing free education in 2018 by now. Students are very excited about this prospect, and we are as excited as you are! Just a note of caution. UNISA had over 400,000 students apply to study with them in 2018. That was before Free Education was promised. We believe that the next application period in early 2019 is going to be the biggest on record in UNISA history. Make sure you have all your documentation ready well before the time. Start NOW – then by the time applications open all you have to do is load them on the UNISA website. Follow EVERY STEP in our UNISA application tutorial. Don’t miss out ANYTHING. You will be automatically disqualified and will miss the opportunity of a lifetime.